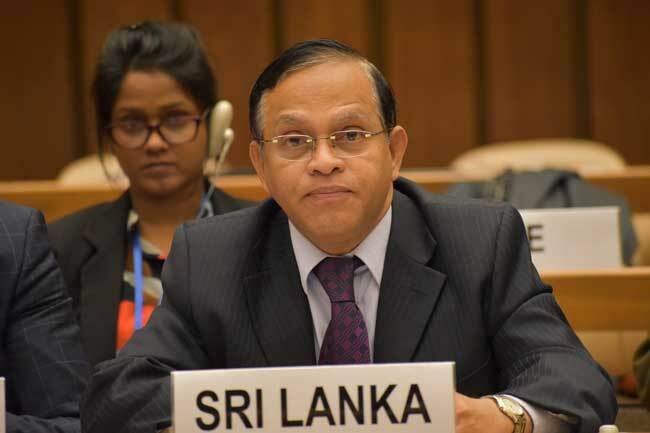 Addressing the Meeting of State Parties to the Biological Weapons Convention (BWC), Sri Lanka’s Permanent Representative in Geneva, Ambassador A.L.A. Azeez, stated that Sri Lanka accorded high priority to the effective implementation of the BWC - the first multilateral treaty to ban an entire category of weapons of mass destruction. Continuing drive towards universalization of this important Convention, he stressed, would strengthen the efforts of the international community against the use or threat of use of biological agents or deliberate use of diseases in breach of peace and security. Elaborating national implementation measures and efforts under BWC, he referred to the Strategic Plan on Antimicrobial Resistance under ‘One Health” concept in Sri Lanka. He further stressed that learning from the experiences of States Parties and sharing of good practices was important, and that such an inclusive approach would contribute to further improving policy and legal frameworks. “Strengthening national capacity is vital”, stressed Ambassador Azeez, adding that it included training and capacity building as well as upgrading technological infrastructure such as laboratories and research institutes. 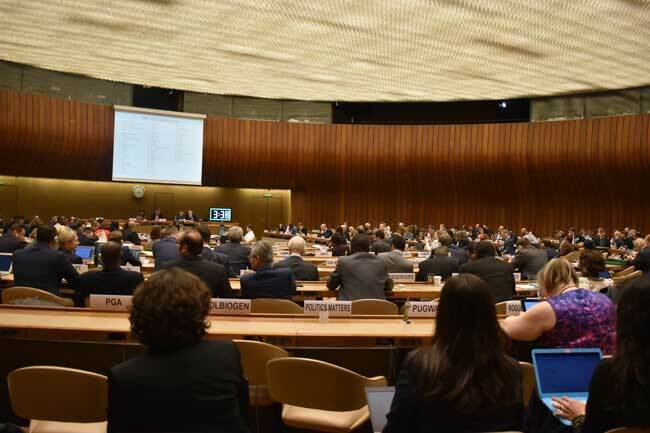 At the State Parties’ Meeting, Sri Lanka called for a comprehensive approach to the implementation of the Convention, which could harness its full potential for the benefit of humanity, including through negotiation and conclusion of a legally binding protocol setting out modalities to ensure efficacy and consistency to follow-up on all provisions of the Convention. The Meeting of the State Parties to the BWC will continue from 04 to 07 December 2018, attended by 182 delegations representing States and other stakeholders.